Six Sigma’s main purpose is to deliver high performance, value, and reliability to the customer. It is regarded and used around the world as one of the major themes for TQM (Total Quality Management). Bill Smith at Motorola developed Six Sigma in the early 1980’s. It was originally designed as a way to measure defects and to improve overall quality. Using Six Sigma’s methodology can lower defects to 3.4 DPMO (Defects Per Million Opportunities). 3.4 DPMO can also be written as plus or minus six sigma when the centerline spans 12 sigma positions. Six Sigma comes from a technical term used in statistics. While originally developed for quality control, Six Sigma is used in many different ways. These uses include improving communications with customers, employees, and shareholders and improving the total process of interaction, communication, and product design. It should be noted that the term “Six Sigma” is a registered trademark, owned by Motorola. According to Motorola, this methodology has saved the company over 17 billion dollars from its inception to 2006. 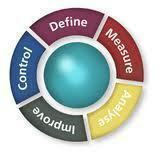 The Six Sigma includes two key methodologies: DMAIC and DMADV. DMAIC is used for an existing process. DMADV is used when creating a new product or process. Using DMADV for new projects usually results in a more predictable process and ultimately higher quality product. M – Measure the current processes. 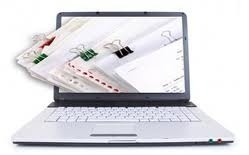 Collect relevant data on the current processes and then use this data as a baseline for future comparisons. A – Analyze your relationship within the process. It is important to understand the relationship to determine factors that can ensure that the company’s strategy is in line with customer demands. I – Improve the process. It is important to constantly improve and optimize the process with analysis and other techniques. One technique that is often used is Design of Experiments. This is a technique that uses acceptable experimental design to help test a hypothesis. C – Control. It is important to ensure that any variances can be controlled and corrected in order to avoid possible costly defects and loss of quality. Pilot runs are often set up to study process capability and production transition. These pilot runs can help fine tune or add additional control mechanisms. D – Define goals that are consistent between the business strategy and customer demands. M – Measure CTOs (Critical To Qualities). 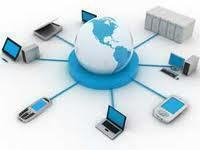 CTOs consist of production process, capabilities producing a product, a product’s capability, and any risk assessments. A – Analyze and evaluate many different designs and choose the best design for its overall qualities. D – Design details. It is important not only to design a product, but to optimize the design features. In order to fully optimize a design feature, it may be necessary to create multiple designs or simulations. V – Verify the design. Important steps to verifying a design include setting up pilot runs and running a short production. This step also requires that the design be handed over to process owners. Statistics are at the core of the Six Sigma methodology. Six Sigma focuses on using data to problem solve and create systematic approaches to lowering deficiencies. Because data is at the core of the Six Sigma methodology, statistical analysis and tools are commonly used. It is important to note that while the Six Sigma methodology is data driven at its core, rudimentary statistical tools and analysis are usually proficient. Executive Leadership – Top level executives are responsible for vision and to ultimately implement the Six Sigma Methodology. They also empower others to take initiative and ownership of the Six Sigma principles. Champions – Champions are usually members of upper management who are responsible for the implementation of Six Sigma throughout their organization. Master Black Belts – Champions usually hand pick them to coach others within the organization about the Six Sigma methodologies. They allocate either all or most of their time to the Six Sigma methodologies. It should also be noted that they usually have the responsibility of mentoring lower roles including Black Belts and Green Belts (see below). Experts – while this role is not a part of every organization, it can play a huge role in major engineering or manufacturing sectors. They improve overall services, products, and processes for their customers. Black Belts – Black Belts focus on six sigma execution. They are usually middle managers. Green Belts – Employees who help Black belts execute specific projects usually take on these roles and other job responsibilities. The Six Sigma methodology has helped most organizations become competitive and reduce costs. However, some downsides do exist. In order to implement the Six Sigma methodology in an organization, it is extremely important that employees on all levels buy into it. If associates, middle managers, or high level executives are not enthusiastic about using the Six Sigma Methodology, it can ultimately lead to failure. 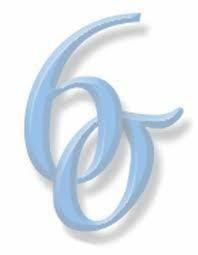 Another downside of using Six Sigma is that in some instances, Six Sigma’s effectiveness has never been measured or is unable to be measured. As a result, it is unclear whether Six Sigma is actually helpful. Finally, many organizations use the Six Sigma methodology as a way of protecting themselves from liability. For instance, if a company produces a product that is low in quality or can harm its user, the organization can use the defense that quality is at the forefront in order to be viewed positively. In this respect, it is unclear if an organization has implemented Six Sigma for its methodology or to cover its liability. It is also the primary process used by companies to downsize/lay off/resource action employees. It does not work for the employee. It works for the shareholders and bottom line. Toyota was the biggest victim of itself. 216 queries in 0.289 seconds.